While progress on Joel & Sony's home was steady throughout 2017, the funding required for the project was drastically underestimated. We learned a lot through this experience, and we are still committed to making this home a reality for Joel, Sony, and their family. Based on what we now know, we believe another $12,000 will completely finish the home. This is a huge goal, but we serve an amazing God, and we already have $1,500 in offline donations! Thankful for anything you can contribute! How many of us have invested thousands of dollars into our homes to renovate, upgrade, and increase our comfort? As a telling statistic, in 2015, Americans spent an estimated $326 billion on home renovations - averaging approximately $2,500 per family. What if we could drastically change the quality of life for a family in Haiti for a similar amount of money? Would we sacrifice to make it happen? This summer, we have just that opportunity. 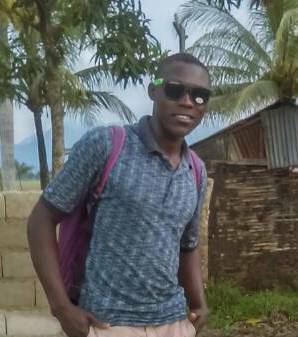 The Espwa Foundation, in partnership with Rick & Amy Hoobler, is raising funds to support the family of Joel & Sony Joseph in Cap Haitien, Haiti. We've grown to love and trust these two young brothers and have committed to come alongside them as they finish their family home. The boys support their mother and 7 additional siblings and face daily challenges with food, water, and education. A safe and reliable home will be an amazing step as we form an ongoing relationship of encouragement, love, and suport. Joel, the oldest in the family, does all he can to support his mother and brothers. Over time, he's been slowly adding to the home with whatever funds become available. Through this fundraiser, we hope to bring the extremely modest home to completion. 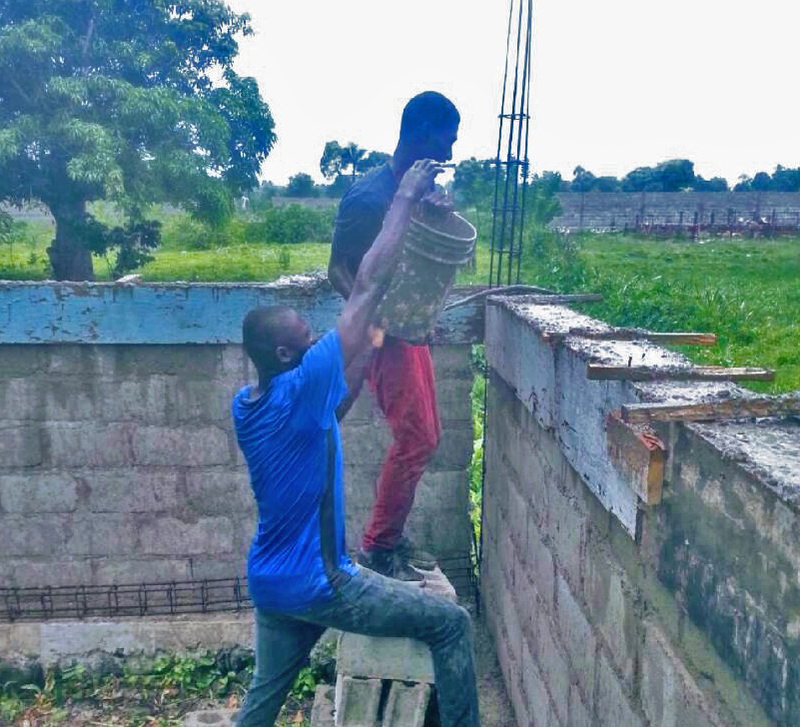 Joel sent us a list of the remaining supplies necessary, and his budget included $3,000 for the materials (plywood, cement, windows, doors, and electric work), as well as the Haitian labor that he can't do himself. Our experience in Haiti is that things always cost more than expected. For this reason, we increased the budget for the project to $3,500. Any funds raised above this goal will be used to support education opportunities for the boys. Let's make this dream a reality and give Joel, Sony, and their family this much needed support. Can't do it without you! Joel and Sony hold a special place in many of our hearts. We first met Sony several years ago, hanging out in the yard of a local orphanage we frequent. As a "street kid," he was not part of the orphanage and couldn't attend the school there. We'd see him on every trip, just hanging out in that same yard. It took us a few years to really get to know him and hear his family's difficult story. Espwa has been supporting his education for the past two years. At the same time, and unbeknownst to our team, one of the families in our network, the Hoobler's, formed a relationship with Sony's brother, Joel. They grew to sincerely admire his work ethic at school and in the support of his family. This trustworthy young man had been slowly working to build his family a home with whatever income he could scrape together. If you know our story at Espwa, you understand that we desire to partner with our Haitian friends in positive ways. We strive to be a "hand up, not a hand out," building relationships based on trust and commitment. We seek to walk through life with our friends, partnering with them, getting their input, and building them up as productive friends. So when the Hoobler's approached us with an idea to partner with Joel and Sony in a bigger way, we were excited. We crafted an agreement with Joel where he will become an apprentice for our farming project lead, Jovenel. Joel will work with the farming initiative over the next year, assisting Jovenel and at the same time, gaining much mentoring and support in a skill he's interested in learning. 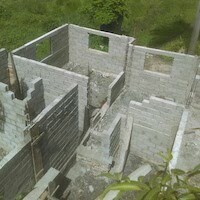 In exchange, we'll assist Joel with funds that can be put toward the completion of his family's home. This opportunity will bring accountability, teach new skills, and hopefully set him up for a bright future. We also plan to work with Sony to see what skills and desires he has and try to match him with a project or small business opportunity that is the best fit for his long term success. We can only do this with your generous support. Please consider a donation towards this project and change several lives in the process. Thank you! Lauren Schwendimann 03/19/2018 $100.00 Good luck! Alexander Raring 07/13/2017 $75.00 Thanks for the opportunity to help. Lisa Hartman 07/08/2017 $50.00 Good luck to you Joel & Sony!